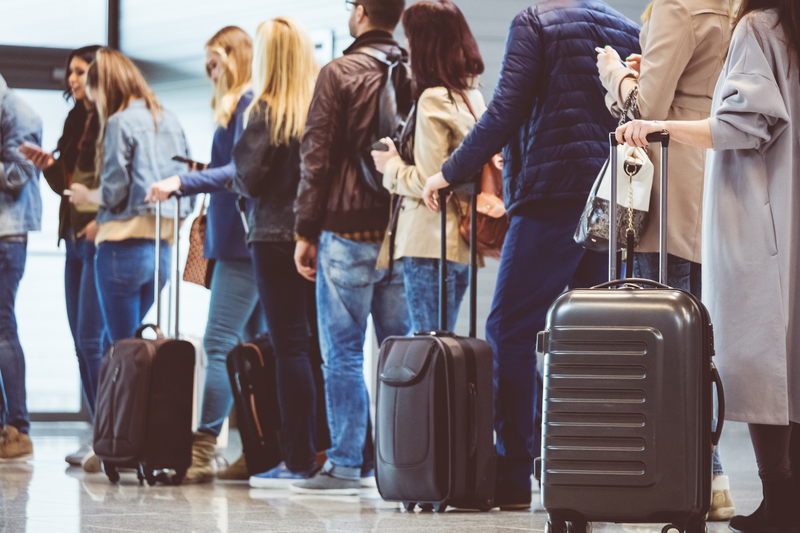 AIQ | What are constrained and saturated airports, and how can you increase capacity? Adrian Todd, CEO of AiQ Consulting explains about the challenges facing constrained and saturated airports worldwide and how AiQ helps airports realise their capacity. Even if you build a new airport, 4 kilometres out of town, with plenty of land, the city will reach out and grab it. That’s the history of London. Victorians built railway lines and stations, and settlements began to grow around them, merging them into the city. The reason for this growth, and that of airports, is encroachment. Airports need facilities, for catering, cargo, passengers and so on. This demand for land is in parts planned, through the masterplan, but in other cases it just happens. You start infilling the ring roads, you’ve extended the border. The airport surrounds itself. This is obviously more common in airports that are built within cities, like Dubai and Heathrow, where the land is so constrained you just can’t build any more. Other airports built out of town, such as Schiphol and Charles de Gaulle, are not as problematic. It’s not just land that’s a constraint, there is also a time constraint – you just can’t build it quick enough. Heathrow suffers particularly from this, with further constraints around planning. It never manages to fulfill its masterplan because time runs out on it’s permissions, or in some case parliamentary decisions. How do you solve these constraints in airports? You could build up, but with 95% of ground activity needed to be seen by the air traffic control tower, it’s difficult. Building down is also challenging; there tends to be a multitude of tunnels that require complex and long negotiations with suppliers, operators and transport companies that may be running operations underground. So neither of these possibilities are ideal. Extra land is also not an option for most airports, especially as it is difficult to obtain, time consuming and bad for the environment. Therefore, it’s important to consider how airports reach the limit of their capacity within their existing footprint, so we can consider how to improve capacity planning without extensions, whether they are up, down or across. How do airports become constrained? Constraints here could include physical movements, time, flight operations, military operations, easing the noise, weather, reduced flows, length, size of aircraft, and so on. There are also environmental requirements to consider. Worldwide, 50% of planning permission for airports involves noise pollution, so it is a very important concern, whether you’re in the UK or India. The restrictions on stands affect capacity. You can only put certain aircraft in certain places, whether it is remote stands with buses over to the terminal, or pier stands. This may be to do with the size of aircraft, but there is also a quality or passenger experience consideration. Pier stands are seen as the superior option. As part of the terminal, it gives a higher level of service and is perceived as serving a better class of customers more applicable for premium destinations. These restrictions, as well as the quantity of different stands, can all impact on capacity. There are many different processes that could cause a problem for capacity in airport terminals. This includes check in, gates, security, immigration, etc. Only one area will be the bottleneck, but each airport is different. Usually security is the bottleneck, as requirements keep increasing and it takes longer to process to passengers. But even if you solve the bottleneck, you will end up moving the problem somewhere else. At AiQ we view terminal processes holistically, which gives us the opportunity to view potential problems throughout the entire passenger journey, reducing the instances of these bottlenecks occurring. All three areas of airport constraints and saturation should not be seen as a problem you only need to solve once. As soon as you realise capacity it gives you room to grow, so in a few years time the airport is once again constrained. It’s a constant evolving problem that all airports need to face.